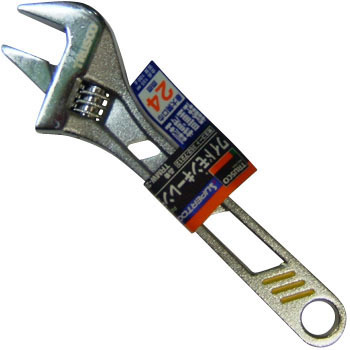 Best to loosen and tighten nuts work in tight spaces, etc.., Best to loosen and tighten nuts work in tight spaces, etc.. It was more compact and easy to use than the normal monkey range, but it is difficult to use in a narrow space, but it is a long treasure on bicycles. This review is about item#34891211. This review is about item#34891202. It is thin and light, and I think that it is good not to take a place. There is no problem in function. There was a bolt whose size was not suitable for snow removing machine's oil change and adjustment, but it was a feeling of licking with other tools, but this monkey was able to hold firmly without any rattling and could remove it . I think that it is sufficient lightness and accuracy to price. I think that it can be used enough for the price. It looks light and easy to use. Actually I think I would like to use it for bike tire change and brake repair etc. Jaw tightens bolts and rattles, jaws open. This review is about item#34891193.